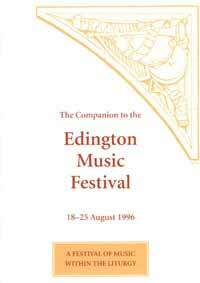 Welcome to the 1996 Edington Festival of Music within the Liturgy. 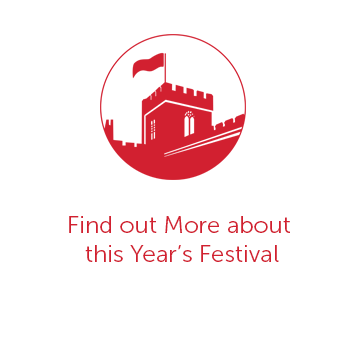 This year’s Festival takes as its theme the set of seven cantatas written by Dietrich Buxtehude entitled ‘Membra Jesu nostri patientis sanctissima’ (Most Holy Members [of the Body] of our Suffering Jesus). Buxtehude drew the theme and the bulk of the text for this work from a medieval poem, ‘Salve mundi salutare’, originally written by Arnulf of Louvain (d.1250). In an expanded form, falsely attributed to St Bernard of Clairvaux (1090-1153) (whose feast day falls within this Festival week), this poem enjoyed wide circulation during the 17th century among Catholics and Protestants alike. Paul Gerhardt’s familiar hymn, ‘0 sacred head sore wounded’ (1656), represents a paraphrase of the seventh part of this Poem. The seven cantatas are designed as meditations addressed to different parts of the crucified Jesus: feet, knees, hands, side, breast, heart and face. It allows us the luxury of concentrating on the supreme sacrifice of Christ upon the Cross, sure in the belief that death is not the terrible end. Our meditations are enhanced by one of the other luxuries of Edington that is the chance to share in the Eucharist as the focal point of our day. In the Eucharist we remember Our Lord’s Passion and sacrifice, we literally re-member, re-present the events through the Canon and the receiving of the bread and wine. Just as the bread is broken so Christ’s body was broken, as the wine is poured so was his blood. The representation of the Last Supper (the most sublime metaphor in the Bible) enables us to partake in the certainty of our redemption every day of the week. Liturgically, it is the sine qua non of our faith. It seems common these days to emphasise the simplicity of the early Church over the complexities of medieval ‘excess’. This all too often can be used as an excuse to turn the liturgy into something ordinary and everyday but there is another way, hallowed by centuries of practice, and this is what Edington is about clergy, singers and people joining together in an act of worship which is the most beautiful that our human hands and hearts can manage. 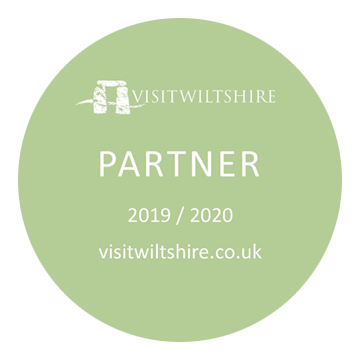 There is nothing commonplace in Edington. It is exotic, esoteric and (dare one say) elitist – the only criteria for this elite being belief and imagination. There is as ever a wide choice of music from the masses of Palestrina, A Lobo and Hassler to the new pieces by John Streeting and Ruth Byrchmore. The Buxtehude cantatas will be sung by the Consort who will also be the chief component of the Thursday Sequence and as usual the Schola will be providing the round of the daily office. I am delighted that this year sees the 40th anniversary of the Friends of the Priory Church and we wish them well in their important work. Also this year we welcome David Belcher for his first year as parish priest at the Festival. My thanks extend as always to Patrick Elwood and Janet McMullin for their administrative help and support, to John Barnard, Adrian Hutton, Christine Laslett, Gilbert Green and John d’Arcy, to the three directors David Trendell, Jeremy Summerly and Peter McCrystal, and to all the host families in the village and the surrounding area.